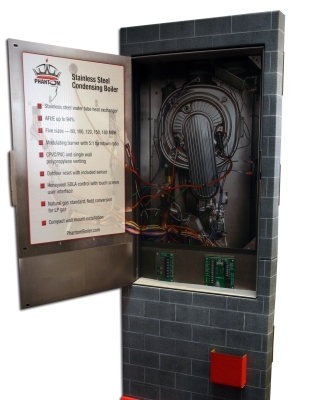 Recom Group created an innovative solution for Crown Boiler (Part of Industry Giant Burhham Holdings). 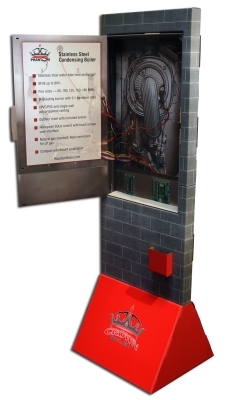 Our tall Cardboard Display Stand features a fully functioning cabinet door that opens up to incredible high resolution graphics to simulate our client's actual product. Even the electronic boards look so real. This was part of a nation wide roll out campaign to promote Crown Boilers new product line.